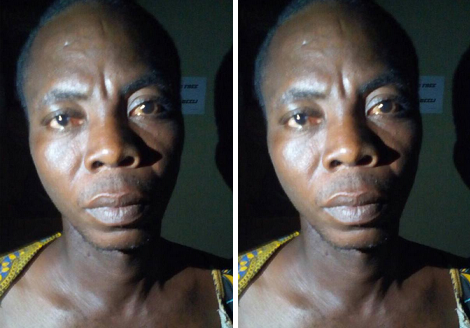 The police in Ogun State have arrested a 32-year-old man, Olatunde Akapo, for allegedly beating his 42-year old neighbour to death with charm. The police spokesperson in the state, Abimbola Oyeyemi, told Premium Times the suspect allegedly committed the offence in Alapako-Eke community in Ifo Local Government Area of the state. He gave the name of the victim as Augustin Ode. He said the suspect was arrested following a report by the brother of the deceased to the Ibogun division police. According to the police spokesperson, the brother narrated that the deceased and Mr. Akapo had a minor disagreement, which degenerated to a fight. He said the suspect then rushed into his room to fetch a charm with which he allegedly beat Mr. Ode who immediately fell down and died. 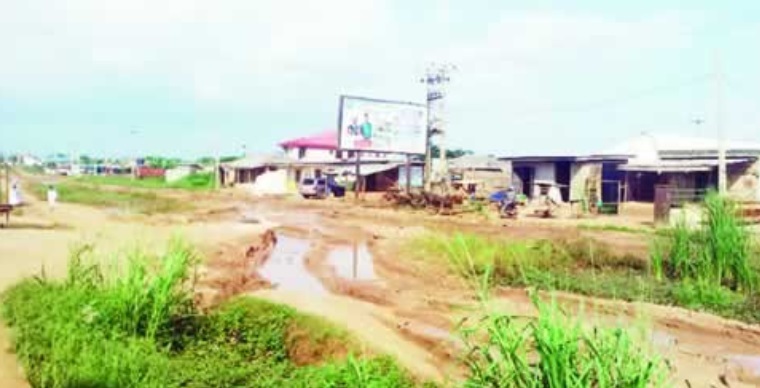 “Upon his report, the DPO Ibogun Division, SP Nicholas Tamuno- Inam, led detectives to the scene at Alapako Eke and the suspect was promptly arrested’, the police spokesperson said. He said the remains of the deceased had been deposited at Ifo General Hospital morgue for autopsy, adding that the Commissioner of Police, Ahmed Iliyasu, had directed that the case be transferred to the homicide section of the State Criminal Investigation and Intelligence Department for further investigation and prosecution of the suspect. 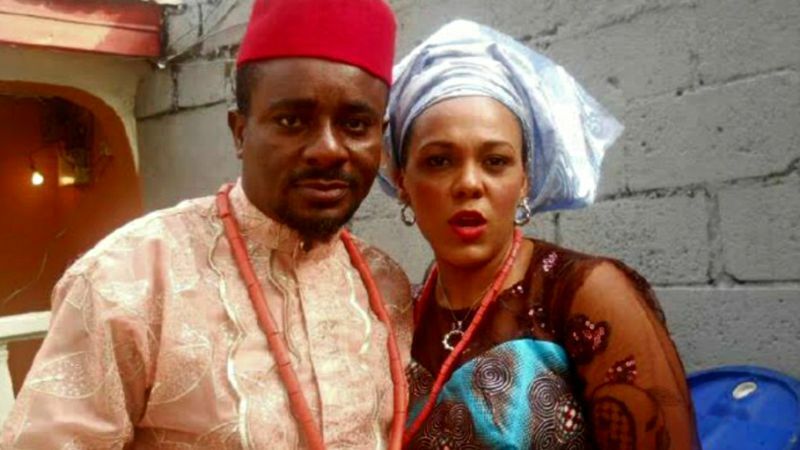 Famous Nollywood actor, Emeka Ike is still finding it difficult to believe that he’s no longer married to his wife, Suzanne Emma. How did you feel watching her walk out of her marriage? 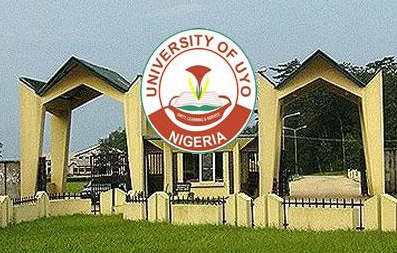 The Federal Government has formally handed over more than 600 snakes, spiders and millipedes recently seized in Calabar to the University of Uyo, in Akwa Ibom. Personnel of the Nigerian Customs Service (NCS), Cross River and Akwa Ibom Commands intercepted three consignments containing 140 species of snakes and 600 animals at the NIWA jetty, Calabar on July 24. The consignment is also made up of geckos, millipedes, hairy frogs and spiders, imported into the country, all valued at N6.9 million. The Minister of State for Environment, Mr Ibrahim Jibril, who handed over the contraband the institution on Friday in Calabar, called for comprehensive expert report on the consignment to enable government has a better understanding of the issues involved. (Floyd) Mayweather's the same age as Klitschko (the American is actually 40), Mayweather's still going strong; Klitschko still had a good fight in him (in April's defeat) and I'm sure he's still got a couple of other good fights in him. In my heart of hearts I kind of knew he probably wouldn't fight again. 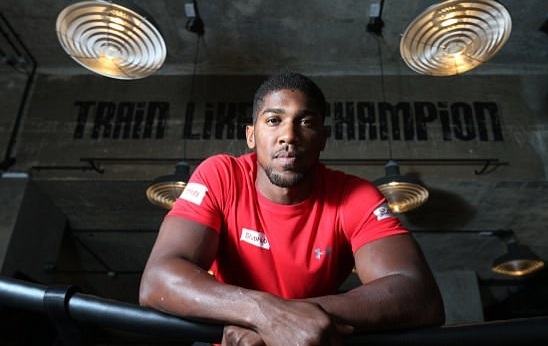 He was saying how obsessed he was with becoming heavyweight champion of the world again. If you fail at the first hurdle, you go again; you knew from my side I was ready for a rematch, making it clear that if he wants to go again, we'll go again. With Klitschko, we weren't hearing too much, so I just thought he was 50-50, but I had a feeling he might not fight again. Jenny O collaborates with Mayorkun, Dremo and Mz Kizz on the releases of her new single titled “Number One”. Research made it clear that Adebowale was hit by a stray bullet in the head while some cult members wanted to gun down a man who wanted to date their leader’s girlfriend. Punch correspondent gathered that the alleged girlfriend, Yetunde Kamoru, and the suspected cult leader, Ganiyu Azeez, had gone for a party in a hotel in the Oyero area last Tuesday. During the party, the unidentified man was alleged to have seduced Kamoru, which angered the boyfriend, Azeez. There was an argument between the men, which led to a fight. Azeez and his friends were reported to have chased the lover boy to the Ogiro community, as the latter, who was also said to be a cult member, mobilised his gang. The two groups allegedly exchanged gunfire which created tension in the community. In the ensuing confusion, the victim, who was by the roadside with his goods, was hit by a bullet in the head. He was said to have slumped and died on the spot. A source said Azeez was later caught in a hotel with another girlfriend. He said, “The main suspect, Azeez, went to a party with his girlfriend. On getting there, there was a brawl. He said a man was eyeing his girlfriend during a dance and that led to a fight. Azeez and his gang wanted to injure the man, but he fled. “They trailed him outside and that led to a shootout between the two men and their gang members. Azeez’s cult members had wanted to shoot the lover boy, when the bullet hit the fish seller and he died. “After the incident, residents said they knew the girl responsible for the fight. They reported to the police at the Agbado division and went to pick her at her house. She admitted to knowing about the fight and led the police to the boyfriend’s house. When contacted, the state Police Public Relations Officer, Abimbola Oyeyemi, confirmed the death, adding that three suspects had been arrested. He said the police had earlier received information that two rival cult groups, Eye and Eiye, planned to create mayhem in the area as part of their celebration of ‘8/8’. He said, “On August 7, the police got information that some Aiye and Eiye cult members planned to attack the Oyero community to celebrate ‘8/8’, which was August 8. “The Divisional Police Officer mobilised his men and started intense patrol of the area. It was while on patrol that he heard that some cult members had struck and fired somebody around the Transformer area of Ogiro. “The DPO deployed some of his men in the area and two of the suspects were immediately arrested. When the DPO himself got there, the leader of the cult members was arrested. Immediately he was sighted at the station, residents identified him. The suspects are Ganiyu Azeez, Yetunde Kamoru and Morufat Arojojoye. 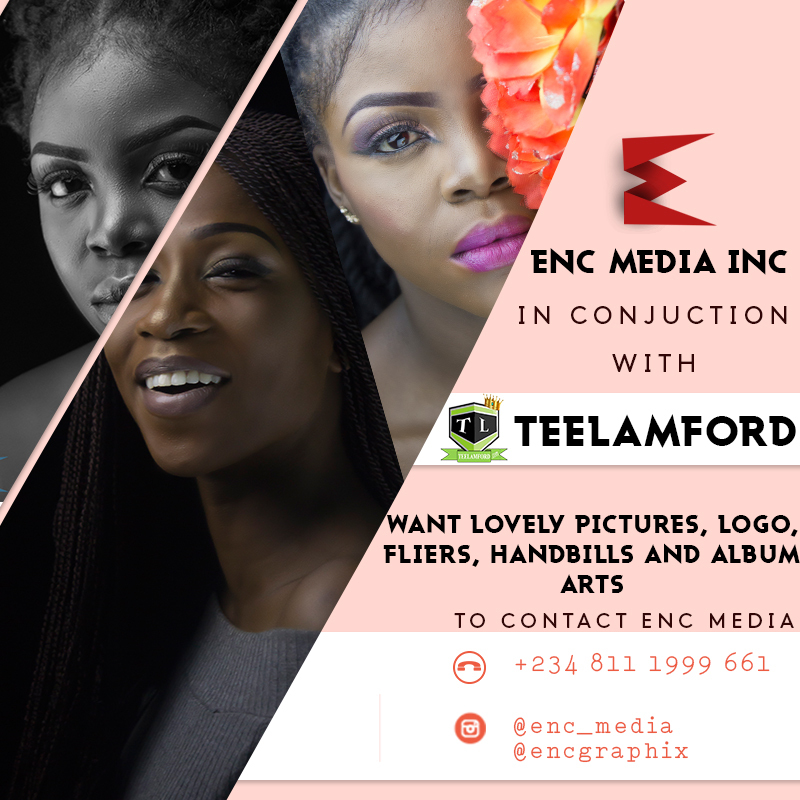 Big Brother Naija runner-up, Bisola Aiyeola and Former Project Fame West Africa winner, Jeff Akoh team up to deliver a new hot single titled, “Water & Fire“. In collaboration with Roc Nation, Temple Music is releasing "Water & Fire" globally on all digital platforms. 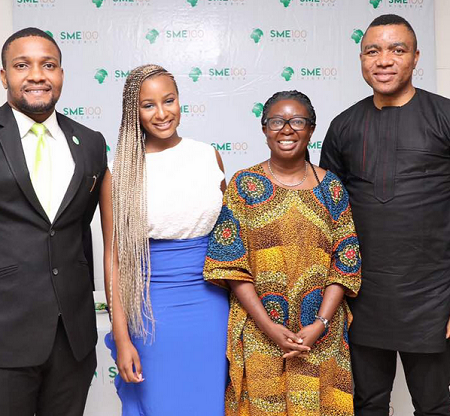 This is the first fruit of the newly formed partnership between the Nigerian and American entertainment powerhouses. 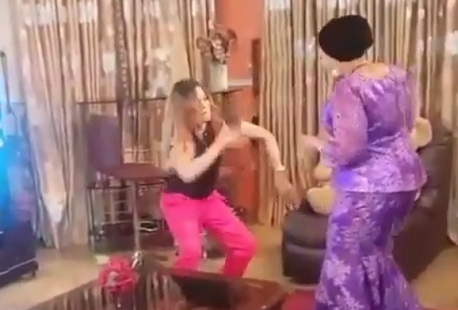 We told you this morning that Bobrisky has appeared in his first Nollywood movie- and it's a yoruba one titled Ojuloge. 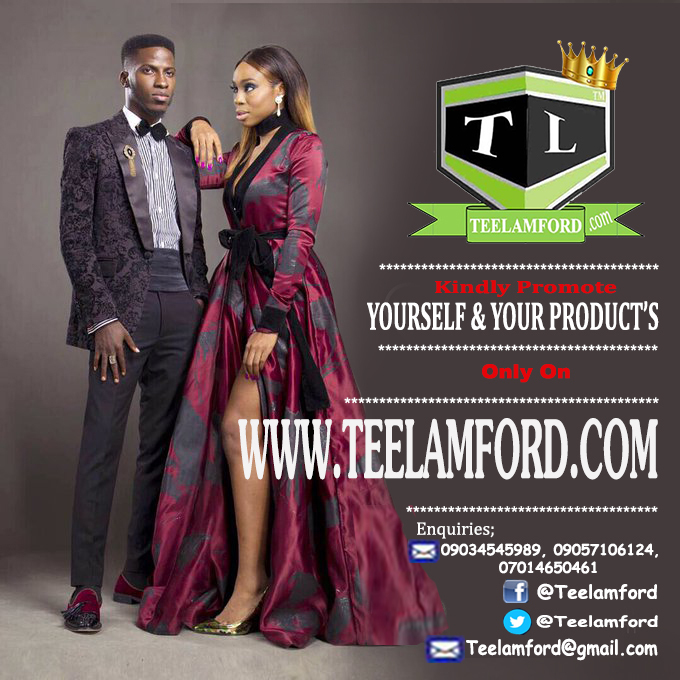 Now, it has been revealed that the dude is playing a 'transgender' role and acting as veteran actress Lola Idije's son. In the movie, Lola Idije longs for a female child but got a son instead. She then started dressing him up as a female right from his childhood days. He grew up seeing himself as a girl and was living that life until he almost ended at a ritualist den. Lol, let's stop there so we won't let the whole cat out of the bag, lol. Guess it's a movie you should watch out for. 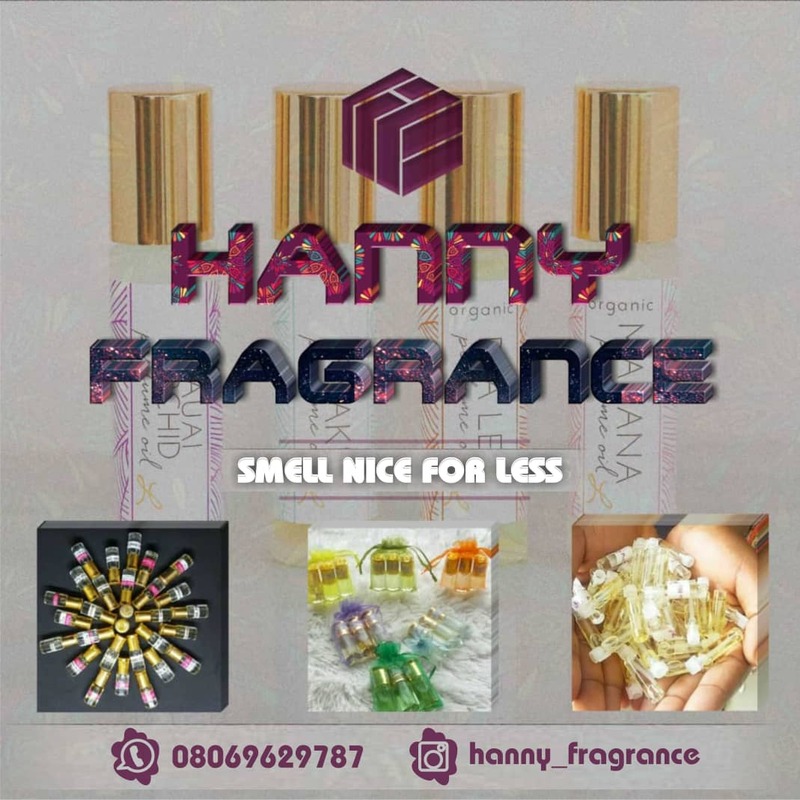 Kindly watch out for it!. 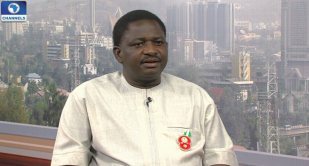 The Special Adviser to President Muhammadu Buhari on Media and Publicity, Femi Adesina, said that he has no idea who foots the medical bill of the president. Mr. Adesina said this when he appeared on a Channels Television talk show, Politics Today. Mr. Buhari has been away on medical vacation since May 7. He has been in the United Kingdom for treatment of an undisclosed ailment. During the interview, Mr. Adesina said details of how payments for Mr. Buhari’s hospital bills are effected do not matter. “Does it matter at this point?” he said in response to a question posed by the programme presenter. “But like I said in the statement we issued, he will come when his doctors say ‘it’s time to go home’,” he argued. G-Worldwide Entertainment is releasing the audio of the song for free download to all Sugarboy fans across the globe. The song is off the singer’s debut album “ Believe”. 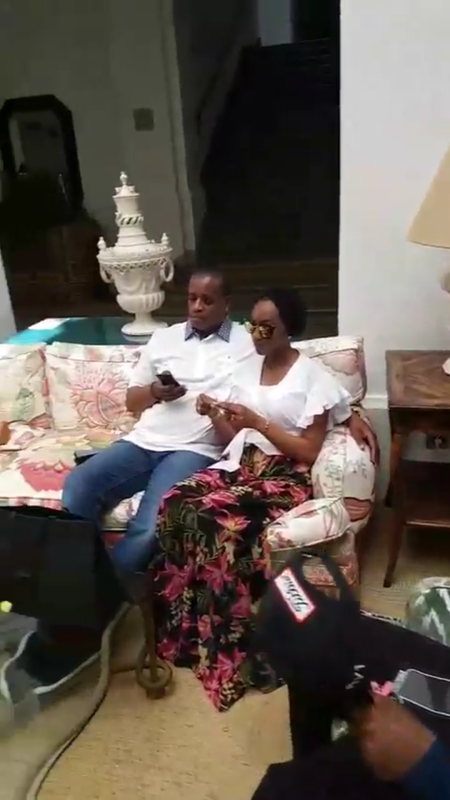 Billionaire Indimi is having a destination 70th birthday and his children and in-laws are already in Spain to celebrate with the industrialist. 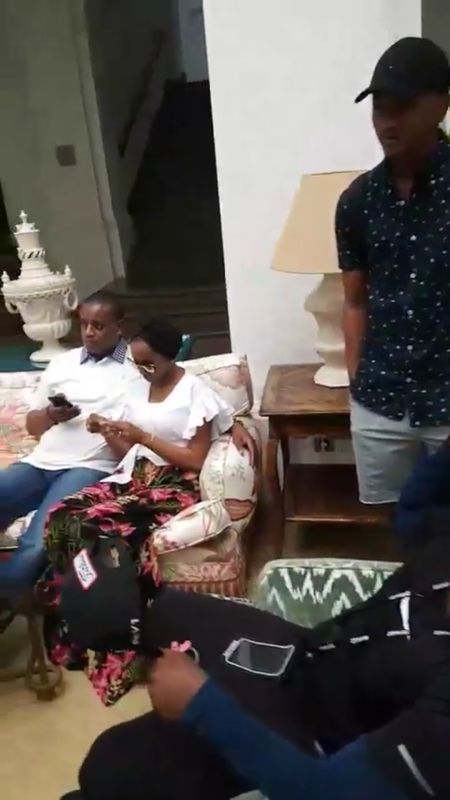 Zahra Buhari, the President's daughter who is married to one of his sons- Ahmed, was pictured with him in Spain while preparing for the big day. Lasch K, released a follow up single to his recent released named “Halleluyah” , which he featured rap sensation “Dessy Boi”. On this one he titled it “Jejely” , a Dozzy Breezy produced love number that will definitley suffer your repeat button. 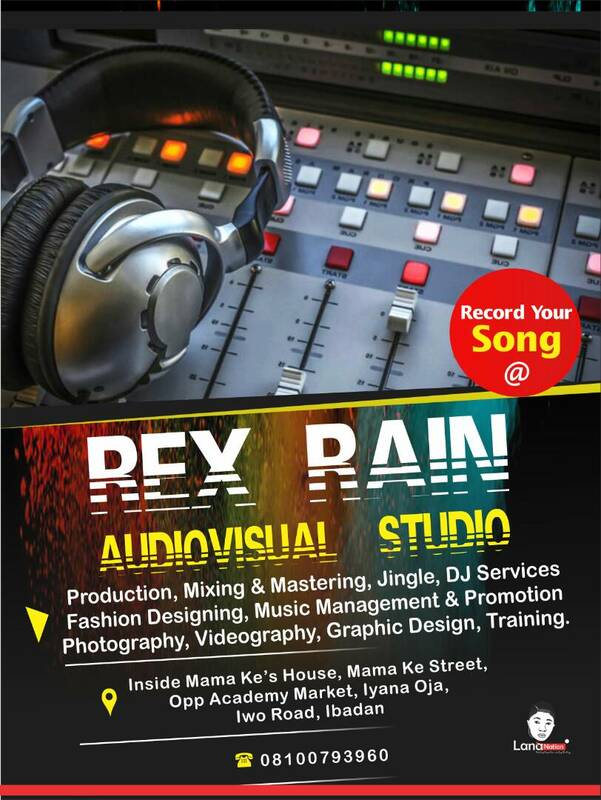 Jejely is Lasch K‘s official third single, produced by Dozzy Breezy, mixed and mastered by M’Krunky. N-Power has announced that its online assessment test will end on August 31 this year 2017. The information is contained in an update/reminder on the N-Power website. N-Power commenced online assessment on July 1. Three categories – Tax, Health and Agro – have attempted the test. Assessment test for N-Power Agro applicants ended August 1 while N-Teach assessment tests commenced on Wednesday, August 9. Teach volunteers are expected to improve basic education delivery in Nigeria and will be deployed as teacher assistants in primary schools nationwide. The programme explains that they will not replace the current teachers, but are to work as support teaching staff, assist with school management and other functions within the schools. The duration of the programme is 2 years and participants will undergo an initial induction training prior to deployment. Meanehile, the programmed has​ revealed when physical verification of applicants will commence. Angry mob, last week roasted a yet to be identified middle-aged man for allegedly stealing a phone estimated at N45,000 in Mushin area of Lagos. Nigeria President, Muhammadu Buhari has accused his predecessor, Goodluck Jonathan of destroying the country’s economy. With due respects to the former President Dr. Goodluck Jonathan, these are the facts about the economy you left behind, in case you have forgotten. I hope this will help to erase the wrong statement credited to you at your party, the PDP Convention at the Eagle Square last weekend that you handed to President Buhari a robustly healthy economy. To the same extent, this should also help to erase yet another false statement by Senator Ahmed Mohammed Makarfi, the Caretaker Chairman of the party, to the effect that under the previous administration there was money but now things are very hard. Let me start by reasserting an obvious statement, which is that the President Muhammadu Buhari administration was handed an economy ravaged by years of mismanagement and corruption. It is understandable that Dr Jonathan kept his comments short because a cursory look at any sector clearly indicated that he and his Government presided over the most monumental and tragic economic mismanagement recorded in our national history. The oil sector boomed under his tenure, with oil prices as high as US$ 120 and peace in the Nigeria Delta. Nigeria earned unprecedented dollar revenues. Sadly, that is where the story turns sour. There is nothing to show for the revenues earned, no major capital project was completed, neither power generation, road development, rail or agriculture benefitted from the windfall earnings. Rather the administration presided over the diversion of oil revenues on a such a massive scale, that even without the protection now accorded to Whistle blowers, the then Central Bank Governor blew not only a whistle but a trumpet. He was hurriedly shown the door. Meanwhile, the acquisition by public officers and their cohorts of private jets, luxury yachts and the accumulation of expensive property portfolios worldwide continued unabated. Indeed, the President once celebrated having the largest number of private jets, whilst our youth languished without jobs, our fields stood idle and our factories began the lay off of workers. The government simply reticulated oil revenue through personal spending by corrupt leaders, wasteful expenses and salaries. This was done rather than investing in what would grow the economy. Economies grow due to capital investment in assets like seaports, airports, power plants, railways, roads and housing. Nigeria can not record a single major infrastructural project in the last 10 years. In short, the money was mismanaged. Such was the looting that even the goose that was laying the golden egg was being systematically starved. 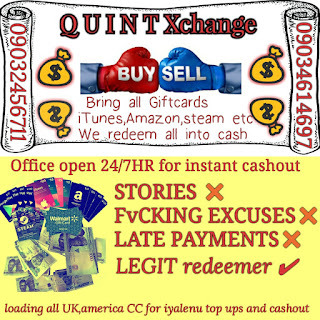 The direct contractual costs of oil produced, in the form of cash calls, remained unpaid. The incoming, President Buhari’s welcome from the oil majors included demand for US$6Bn owed by Nigeria for oil that had already been sold or stolen. At the inception of the current administration, 21 States were unable to meet their salary bills and the spectre of workers arrears had commenced. The PDP solution was the raid the Ecological Fund and selectively grant N2bn each to the PDP States. It was only aggressive borrowing by the Ministry of Finance under Dr Okonjo- Iweala that prevented Federal Government from also owing salaries. The economic wisdom of borrowing to pay recurrent bills is a questionable one, particularly as those paid would have included over 45,000 that have subsequently been removed by the Buhari led administration as ghost workers. It also included the lavish costs of chartering private jets, first class travel and other wasteful acts that have been eliminated under this administration. To compound the problem the government was borrowing heavily and owed contractors, and international oil companies. When this government took over we had accumulated debt back to the level it was before the Paris Club Debt Forgiveness. The oil shock should and could have been foreseen. When Islamic State of Iraq and Syria, ISIS crisis started, it was clear that the United States of America wanted to cut off funds to terror groups by crashing the price of oil. When America granted permission for exploration of oil on land ( Shale) the warning signs were evident, but these were ignored by Nigeria’s economic managers. Such was the looting that even the goose that was laying the golden egg was being systematically starved. The direct contractual costs of oil produced, in the form of cash calls, remained unpaid. The incoming President Buhari’s welcome from the oil majors included demand for US$6Bn owed by Nigeria for oil that had already been sold or stolen. At the inception of the Buhari administration, 21 States were unable to meet their salary bills and the specter of workers arrears had commenced. The PDP solution was to raid the Ecological Fund and selectively grant N2Bn each to the PDP States. 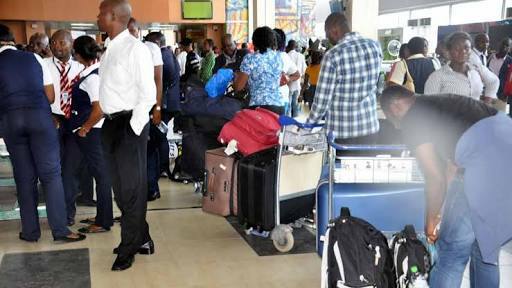 It was only aggressive borrowing by the Ministry of Finance that prevented Federal Government from also owing salaries. The economic wisdom of borrowing to pay recurrent bills is a questionable one, particularly as those paid would have included over 45,000 that have subsequently been removed by the Buhari led administration as ghost workers. It also included the lavish costs of chartering private jets, first class travel and other wasteful acts that have been eliminated under this administration. In summary, Nigeria earned a lot of money when oil prices were high but there is nothing to show for it. Now oil prices have fallen we are suffering. 2. Sanitize the huge salary bill by eliminating payroll fraud. 3. Reduce wasteful expenses like First Class Travel and Private jets. 4. Encourage State Governments to reform their spending and build savings or investments. 5. Increase spending on capital projects especially on infrastructure needed to make Nigerian businesses competitive and create jobs. 6. Block the leakages that allowed government revenues to be siphoned into private hands. 7. Focus on key sectors ( apart from oil) that can create jobs and or generate revenue such as Agriculture, Solid Minerals, and Manufacturing. If these things had been done when the oil price was as high as US$120 per barrel, Nigeria would not be in the current predicament. We would not be suffering now if we had no cash reserves but we had power, or a rail system, or good roads, or good housing. But we don’t have money and we don’t have the projects either. Now that the oil has fallen below those levels, it is very difficult to do what is needed but they must be done to save Nigeria. There is no other way if we want to be honest. If PDP were still in power they would have continued deceiving people, by borrowing to fund stealing and wastage and the problem would have simply been postponed for future generations to face. One of former President Jonathon’s specific boasts is that dollar under him was N180 compared to today. With such a line of argument, it is clear why we are where we are. With oil prices as high as $120 the average inflow of dollars each month was high, making it easy to support cheap dollars. However, with oil price plummeting as low as $28, the fundamental laws of supply and demand dictated that the currency would need to adjust since oil was the sole export. It is instructive to note that virtually every major oil exporter has witnessed currency adjustments with the fall in oil price. The Buhari administration has taken a long term strategic view of supporting a stable naira on both the supply and demand sides. President Buhari has driven Import substitution to reduce demand for dollars to buy things we can produce thereby creating thousands of rural jobs in rice and other staples. In addition, there is a credible plan to diversify our revenue sources away from oil, with a focus on export crops as well as solid minerals, with the release of US$100M fund to develop solid mineral extraction. “Telli Person” by Timaya drops ahead of the joint track “Dance” with Rudeboy of P-Square, He comes afresh and more hot on this hot tune with Olamide & Phyno. No doubting, this will certainly top the charts. Well known Nigerian gospel artist, Tope Alabi mets with Kirk Franklin and Tim Godfrey at airport. Kirk Franklin whom came to Nigeria on a feature of an album with rugged Gospel artist Tim Godfrey on the album that was launched on August 13th titled "Fearless". Tope Alabi whom on her way to airport then met with Kirk Franklin.According to Tope Alabi she was amazed to met with him. "friends see what I met at the airport"
The artist visitation to Nigeria was indeed a remarkable one. 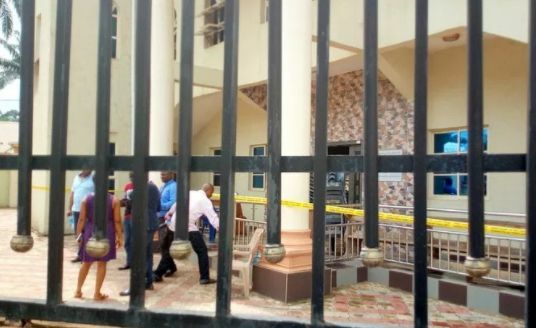 The senior special assistant to Governor Obiano on social media, Mr Ifeanyi Aniagoh, has said that the alleged Assemblies of God church attack in Onitsha is nothing but an incomplete report. He said that nothing like such happened except an attack on policemen on Oguta road in Onitsha. “No church attack in Onitsha, please ignore the rumour! 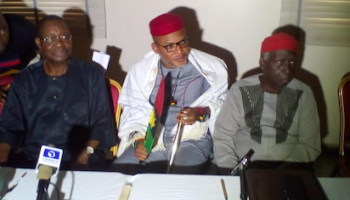 The Onitsha incidence has nothing to do with church attack as confirmed by the Anambra Police Public Relations Officer, Princess Nkiru Nwode. She said the attack was on policemen who were on foot patrol along Oguta Road Onitsha. According to her, the attackers were hoodlums who disguised themselves as masquerades to dispossess innocent citizens of their belongings and in the process killed a police man and injured some others. Recall that in an effort to ensure safer society, the government of Anambra State recently launched Motorbike Brigade in addition to several other Security Units that maintain regular patrol of our communities. 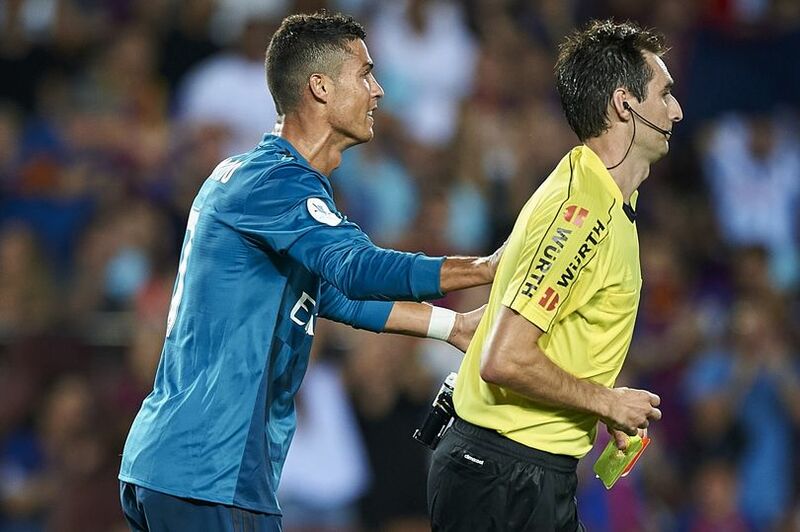 Real Madrid forward, Cristiano Ronaldo to lose 5 game's after pushing the referee in Real Madrid's 3-1 win over Barcelona. The Portuguese has been given one game for the initial red card and four more for the subsequent physical altercation. A €3000 (£2727) fine has been added on top of the suspension. Any appeal will have to wait until Wednesday, the day of the second leg of the Super Copa at the Bernabeu, because of a public holiday on Tuesday. Portugal captain Ronaldo received two bookings in the space of three minutes. An additional mandatory €800 fine has been handed to Ronaldo for the red card, with the club billed for €350. Ronaldo will return for Real Madrid on September 19 against Real Betis. You booked a flight for a getaway or business trip, but now you have an emergency that you have to attend to and you have no choice than to reschedule your flight. And for quite a number of airline, you need to pay rescheduling fees. Below are some ways to avoid paying flight rescheduling fees. 5). Read rescheduling policies before booking. We are all guilty of this. We do not read the terms and conditions for booking or buying anything. Consequently, when there is a problem, you will not get the desired response because it is not covered by the terms and conditions. Henceforth, make it a habit to read the policies for booking flights. This will help you fathom the rescheduling procedure for any airline. 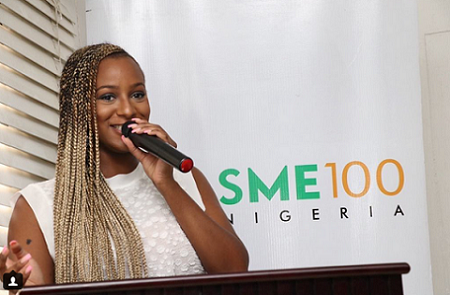 Florence Otedola popularly known as DJ Cuppy recently won an award with the SME100nigeria. Shortly after that, she stormed her dad's office thanking him for being the best and making her learn from the best. Lol, even lecturers are going soft now. What the internet will cause? Em, sigh! Lol. So Dr. Nwoke, HOD of Physiology Department, Ambrose Alli University, Ekpoma is so in love with his girlfriend, that he went the way of his students by proposing to her publicly. 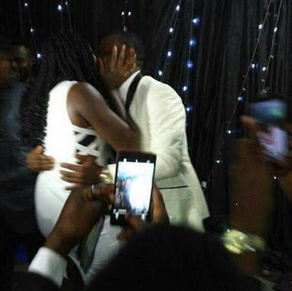 He proposed during a dinner organised by his students that he was invited to be part of. When your lecturer joins you at your event and steals the show, what do you do? You just clap and be happy for him and help circulate photos lol, that's exactly what the students did and social media has been full of congratulatory messages to the couple. 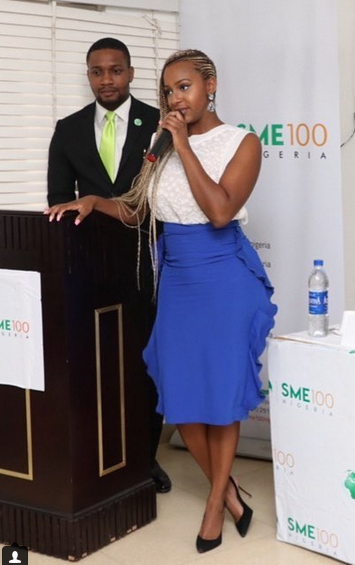 Tanzania Recording Artist Madee unwraps a new collaboration single with Nigerian Record Producer Tekno, The audio is titled “ Sikila ”. The official audio to “Sikila” by Madee featuring Tekno was coupled up with the Animation Video which is available for stream on this post. LRR newly signed artist Yovi enlist the vocal performances of YAGI boss, Lil Kesh and Eleko crooner Mayorkun to present this dope remix for Amen. 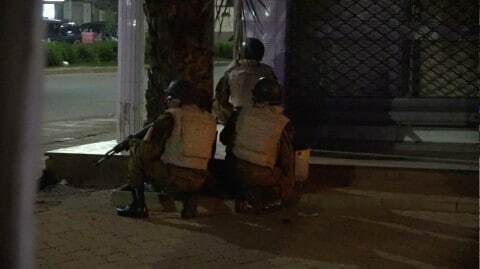 Just yesterday, around 9 p.m.
Up to 17 people were killed and eight others were injured after a number of assailants attacked a restaurant in Burkina Faso. The attack took place in Ouagadougou, the capital of the West African nation. It's not known how many attackers were involved. Attackers barricaded themselves in the Istanbul restaurant on Avenue Kwame Nkrumah in the center of the city. Burkina Faso Communications Minister Remis Dandjinou called the raid a "terrorist attack," according to Reuters, and said the victims were from a number of countries. Efforts are underway to identify the bodies so the authorities can inform their families. The Prosecutor's Office as commenced on investigation of the incident. 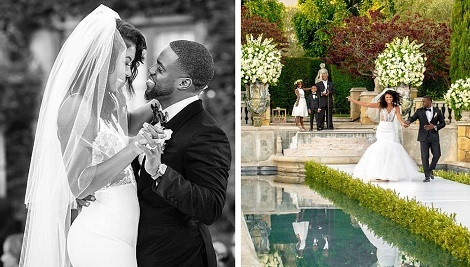 Kevin Hart and Eniko Parrish shared sweet Instagram posts gushing about each other yesterday. The first wedding anniversary for the couple, who have a baby son on the way. 'Happy 1 year anniversary to this unbelievable wife of mine. 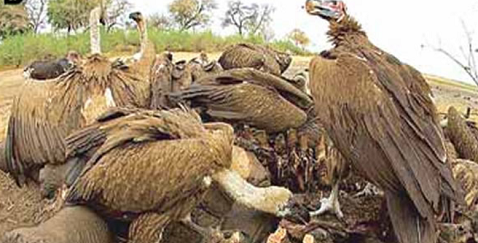 The National Conservation Foundation has warned against the trafficking and illegal killing of vultures in the country and called on security operatives and herb sellers to support the foundation in its efforts to stop the acts. The Conservation Manager, Technical Programme of the NCF, Mr. Adedayo Mahmud, gave the warning in Osogbo on Friday at a workshop organised by the NCF for policemen, officers of the Nigerian Customs Service and herb sellers popularly known as elewe omo. Mahmud said vultures played a very important role in the ecosystem, including the prevention of outbreak of diseases and sicknesses through their activities. He said vultures also assist law enforcement agencies by flying over the area where poachers just killed wildlife animals, lamenting that poachers usually poisoned the birds in order to avoid being given away by their activities. Mahmud said, “Vultures are being killed in large number despite their importance to the ecosystem. Vulture population has declined drastically but it is estimated that a single vulture provides a scavenging benefit of $11,600 per year. He advocated legislation to arrest and prosecute wildlife traffickers and other offenders including those fond of wildlife poisoning. YAGI Boss, – Lil Kesh begins the week with this new one titled “Baby Favour” which might easily pass as a freestyle. Mukhtar Robow has been airlifted to Mogadishu, after surrendering earlier on Sunday to Somali forces in the government-controlled town of Hudur in the country's southwest. 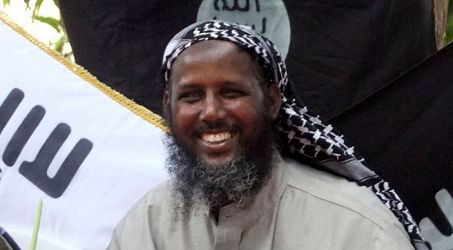 Earlier this week, Robow lost at least 19 of his fighters to al-Shabab. Robow's defection comes after the US in June cancelled a $5m reward offered for his capture. His surrender is culmination of months of talks between the Somali government, and it is believed the cancellation of the bounty for his capture helped convince Robow to turn himself in. Willicino delivers a grand remix that shows that he is surely on his way up and there is no stopping him by featuring the king of dancehall Timaya.